If you are here for my giveaway, click here. Only 2 more days to enter! Hi everyone, just a quick share today from me. 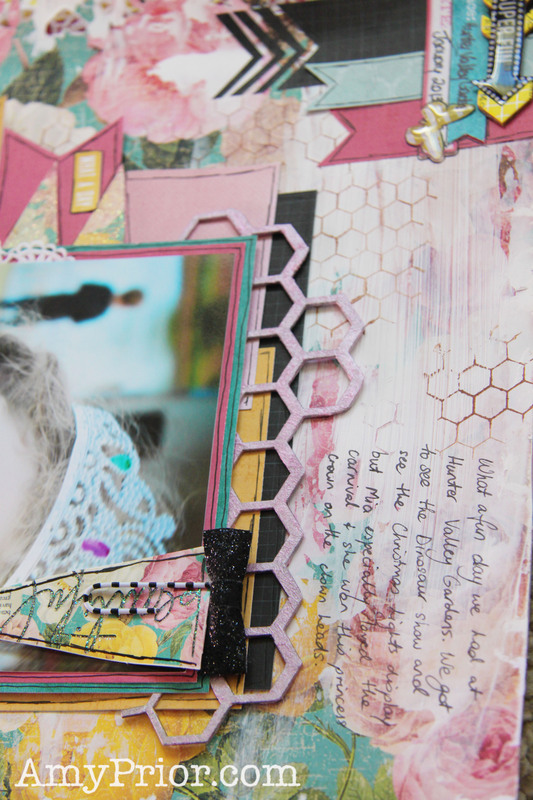 I have entered the Scrapbooking From Scratch Sketch Challenge this month with only a couple of days to spare before closing date. 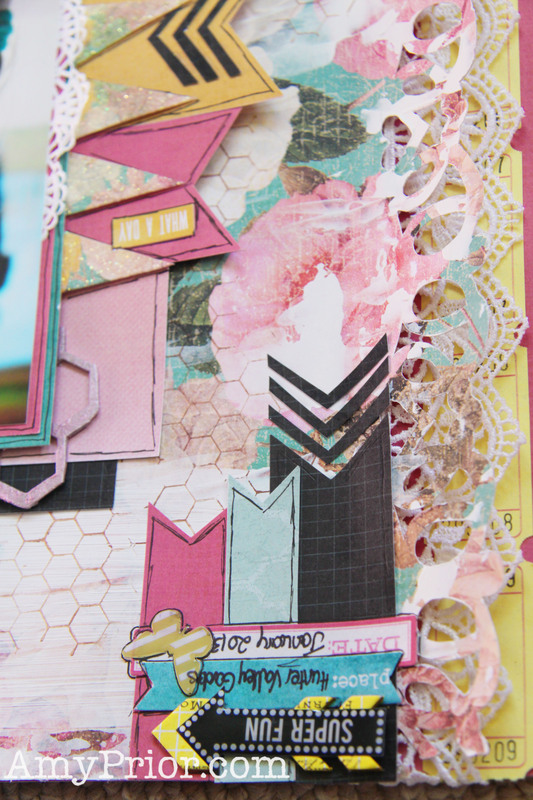 Here is the sketch and you can visit the Scrapbooking From Scratch Website here. So here is my take on the sketch. As you can see, I have changed it a little to suit the layout that I wanted and I went with some Banners instead of Chevrons. The Patterned Paper, stickers & embellishments are from Heidi Swapp and there is also a Yellow Charms Creations Embellishment used. To create the background, I have randomly coated a piece of Heidi Swapp Sugar Chic Papers with some Gesso. I then decided that I wanted to cut the strip down the side so out came the Silhouette Cameo Machine and a Princess Crown Border file. When the Gesso was dry, I have adhered some lace, tickets and some more Heidi Swapp Sugar Chic paper to make the layout 12×12 again and then I have randomly stamped some Chicken Wire over the entire page using the Tim Holtz Cling Rubber Stamp along with some Ranger Archival Ink in Coffee. The chicken wire Chipboard is from A2Z Scraplets of course, and was cut to suit my layout. I have covered the chipboard with a layer of Metallic Pink Acrylic Paint from Viva Decor and then have spraying some Hot Patootie Pink Lindys Stamp Gang Starburst Stain Spray over the top letting it pool up a little for a more interesting textured colour. 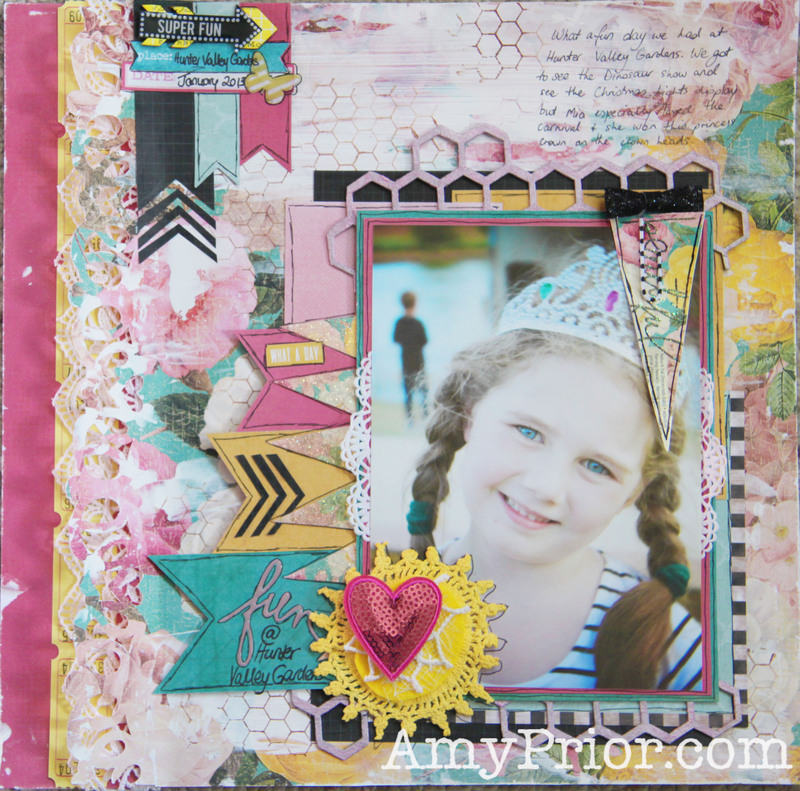 I have then simply layered lots of fabulous papers from Heidi Swapp’s Sugar Chic collection, added some Doodling and stickers and Bob’s your uncle, I was finished. 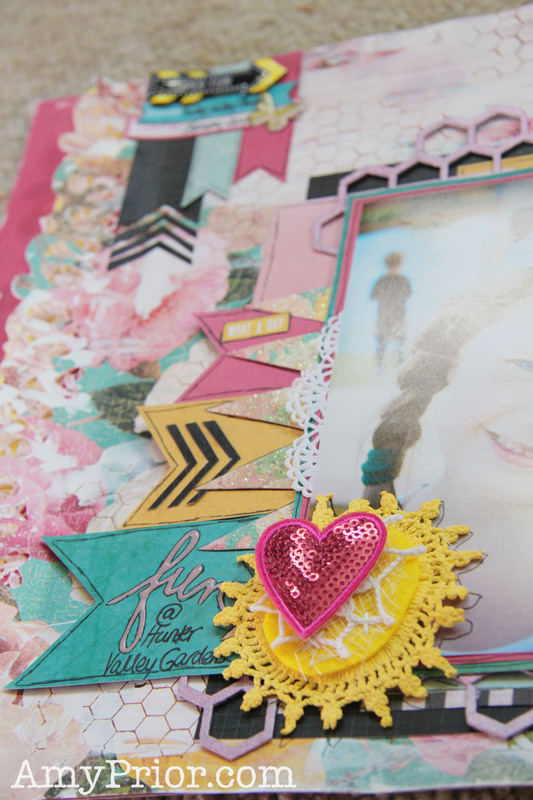 That’s it from me today, be sure to check back regularly for more inspiration and until next time, happy scrapping!